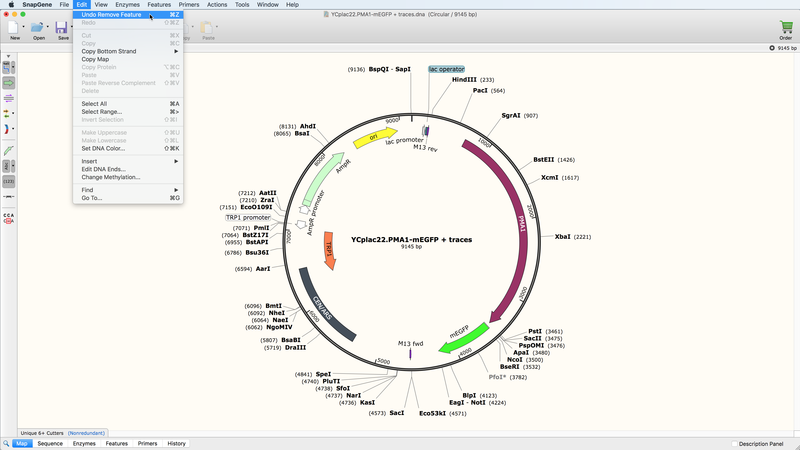 SnapGene automatically records operations to create a graphical history, and stores the ancestor constructs in the final file. 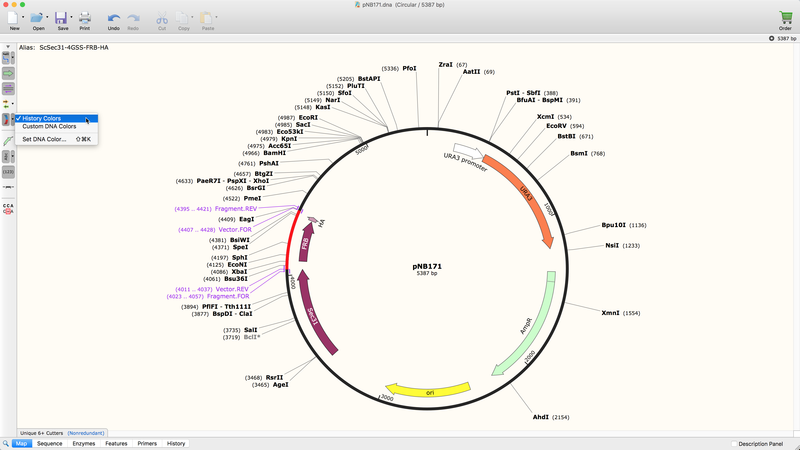 Don’t be shy about experimenting with a SnapGene file—retracing your steps is easy. See a graphical history of a construct. 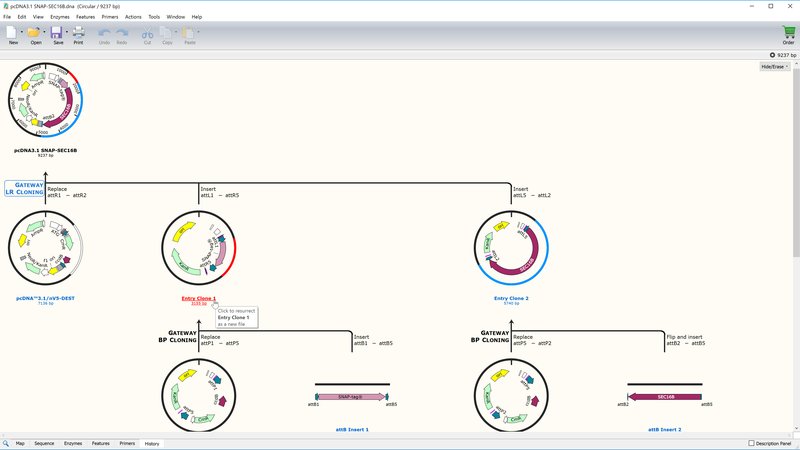 Click on an operation to highlight the relevant parts of the parental and product sequences, or click on PCR primer names to see the primer sequences. Click on an ancestor in the history tree to regenerate that ancestral sequence file, including its annotations and cloning history. Use optional history colors to identify the most recent change to a sequence. See details of how a construct was assembled, including ligated sticky ends.